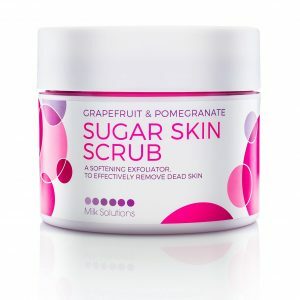 View cart “SOYA MILK & QUINCE SUGAR SKIN SCRUB” has been added to your cart. 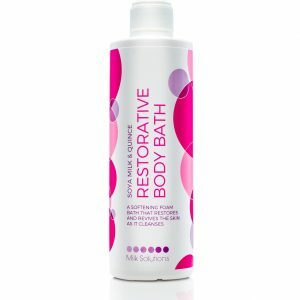 A reviving, restorative foam bath to cleanse, balance and refine the skin. Add 10ml under running water to warm bath water or foot spa. Soak for up to 20 minutes. Aqua (Water), Sodium Laureth Sulfate, Cocamide DEA, Cocamidopropyl Betaine, Parfum (Fragrance), DMDM Hydantoin, Phenoxyethanol, Ethylhexylglycerin, CI 17200, Sodium Chloride, Butylphenyl Methylpropional, Linalool, Benzyl Salicylate, D-Limonene, Hydroxyisohexyl 3-Cyclohexene Carboxaldehyde. Application: Add 10ml of the body bath under running water to warm bath water or foot spa. Soak for up to 20 minutes. Our fun, fragranced Fruit range is guaranteed to refresh and re-energise not only the hands and feet but the body and mind as well. Available in two formulations – Pomegranate and Grapefruit, and Soya Milk and Quince – the Fruit range can be used on their own or in combination with our Milk & Honey range as substitutes as per our Meticulous Manicures and Perfect Pedicures guidelines.